Recently a great deal of media attention has been focused on Michael Wolff’s new book, Fire & Fury, and statements made about members of the president’s family and staff, along with observations of activity and persons behind the scenes in the Trump White House. This is just the latest in the ongoing media circus we might call “What will Trump Do or Say Next?” Turn on any number of channels: Fox News, CNN, MSNBC, ABC and so on, and commentators will roll on ad nauseum on the latest tweet or outlandish statement or confusing action taken by #45. Not only is it exhausting, it distracts us from some of the important issues where decisions are being made that affect the lives of millions of people. Health care, immigration, DACA, provision for the low income, gun violence, preparations for war and much more get a mention, but then get lost again in the next tweet or outlandish statement. And so in an attempt to bring some deeper analysis, I want to offer some thoughts on issues that are being overlooked but will deeply impact the lives of millions of people. 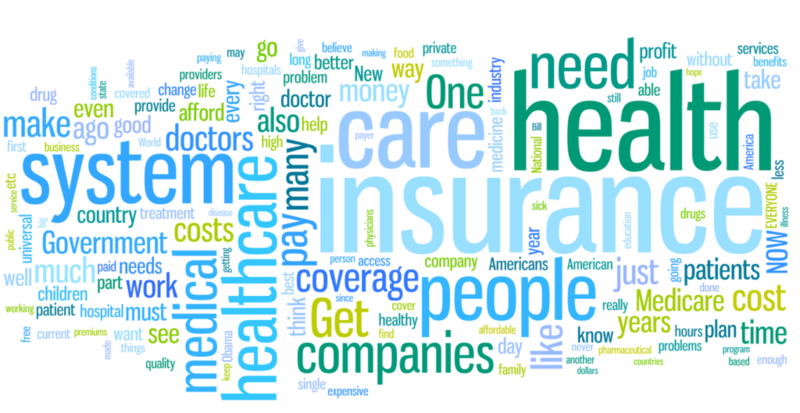 In this blog, I want to start with healthcare. A few years ago I was asked to be on a panel at Eastern University to discuss the need for comprehensive health care. This was prior to the election of President Obama. When it came to my turn to speak, I made the statement that the U.S. had the best healthcare system in the world, but it is only available to those who can pay. Next to me was a Nursing faculty member, who challenged my assertion about the quality of our health care system. I listened to her correction and realized she was right and I stood corrected. Since then, I have paid attention and seen my colleague’s critique born out. Though the Affordable Care Act ( ACA) passed under President Obama was a positive step in the right direction, it failed to address what in my view is a fundamental flaw in our healthcare system. In the U.S. we treat healthcare as a commodity that people must buy, rather than a right people should have and service they need. Republican rhetoric against the ACA focuses on two things: (1) that people (until the Congress changed the law) were required to buy insurance or face a financial penalty; and (2) it cost too much for people to buy and for employers to offer their workers Both of these objections share a common assumption: that healthcare is a product that people should be able to buy on an open market, like they buy a car or a new dress. So those that can afford it, or have an employer pays it, get healthcare and the rest are left at the mercy of a market designed to pad the bottom line of the insurance and drug companies. 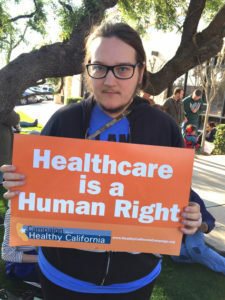 Rather than treating basic healthcare as something everyone, regardless of financial position, should have access to, healthcare is something we can take or leave. The problem is when a person gets sick, goes to an Emergency Room, but has no health insurance, our premiums end up covering their bills; we end up paying more for our social negligence, than if we made healthcare available for all. In a revealing pair of articles the New York Times asked two questions: (1) Why Does the US spend so much more on health care than other countries (link here)? and (2) What is the best health care system in the world (link here)? In response to the first question- – the answer was simple. It was not because we go to the doctor more often, or are sicker or expect health care to cover all sorts of non-medical issues like cosmetic surgery and Viagra. No, the increase in prices could be attributed primarily to the excessive pricing of healthcare and drug companies. Did you ever wonder who was paying for all those drug ads on TV? You guessed it: we are. They are advertising and we are subsidizing their effort to get us to buy their drug. What’s wrong with that picture? In response to the second question, the authors Aaron Carroll and Austin Frakt ranked the U.S. healthcare system against seven other developed nations’ health care systems: Britain, Australia, Singapore, France, Germany, Switzerland, and Canada. They evaluated each system on such things as efficiency, the range of services, cost, and quality of care. Of the eight countries, Switzerland and France were ranked the best, with Germany a close third, while the U.S. was sixth. What was it about these systems that caused them to be ranked higher than the U.S.? They spend a lot on health care but also provide wide-ranging access and high-quality care. 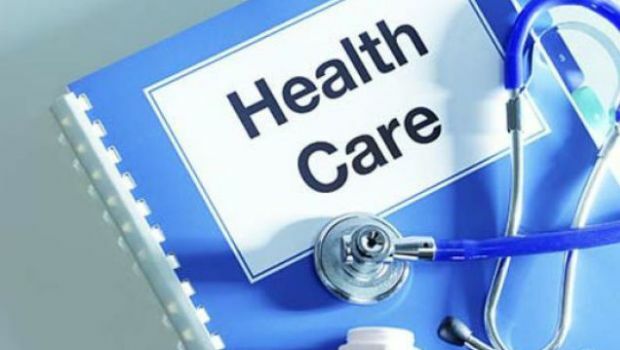 While many in the U.S. – Republicans and Democrats – rail against “socialized medicine” in such countries, what they are really saying is these countries treat health care as something everyone, regardless of their station in life, should have access to. In contrast, our politicians are silently looking out for their benefactors, the health insurance companies and drug companies who make huge profits on our health care needs. If we were to offer healthcare for everyone, they couldn’t make those profits! Something is very wrong with that picture. You see, in the U.S. healthcare is a commodity – a product we buy and whose prices are regulated by market demand. Well at some time in their life almost every person needs healthcare. It is a necessity for all, but affordable at the level needed for only those who can pay. Something is wrong when people’s health is out on the open market for sale. Instead of babbling about #45’s latest inane tweet, I wish our leaders and our media (which is tasked with keeping us informed) spent more time focusing on essential issues like healthcare. Fortunately, the New York Times is doing that, but even so, articles like those mentioned here are buried in the middle of the news and largely gets lost. This is something to think about the next time the news anchors babble on about the latest White House scandal. I am not saying the conduct of our leaders is unimportant, but their irresponsibility is enabling serious issues with healthcare to float by unnoticed, and that can’t be. Are you interested in grappling with important social issues like health care? Consider pursuing an M.A. in Urban Studies at Eastern University. Just click on this link to learn more.